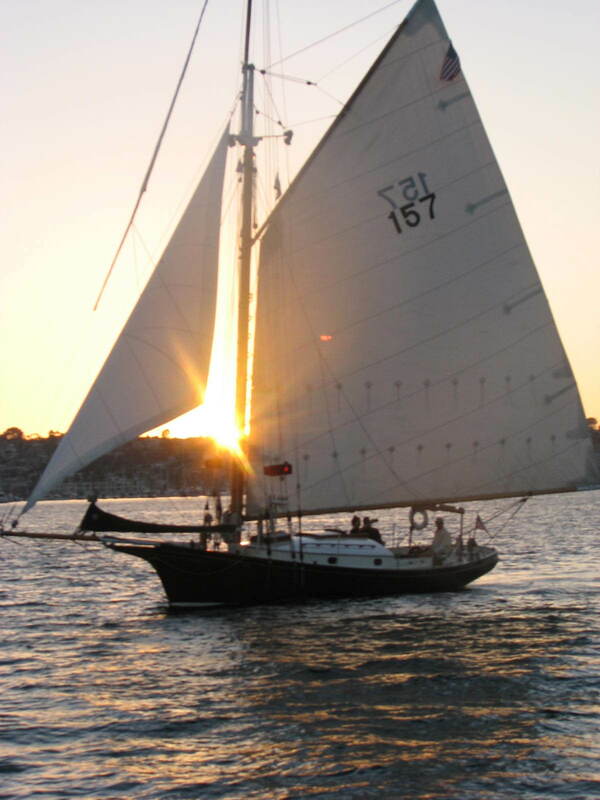 Liberty is a Friendship sloop, a boat design that has been built all over New England for over a hundred years. The type is named after the town of Friendship, Maine, where builders such as Wilbur Morse brought them to the state of refinement that you see today. On the coast, they were built and used by fisherman and lobstermen for hauling traps. They were designed by people whose lives depended on their sturdiness and sea-kindliness, and whose bread and butter depended on their ability as work boats. In the late 1970’s, a Maine boat builder named Jarvis Newman discovered an old lobster sloop named Dictator. He took it upon himself to completely restore her to original condition. Once he finished, he took a mold off of her hull, and over the years, built numerous reproductions of the Dictator. The original Dictator is privately owned and continues to sail the Coast of Maine to this day. Liberty, was built from that mold by Jarvis Newman in Southwest Harbor Maine in 1980. It took five years for her owner to over see the building the decks and rig. He finished her interior at his workshop. She is gaff-rigged and her spars are varnished solid Douglas Fir.